You’ve probably heard this saying before. A broken crayon does not lose its purpose…it can still color. In fact it doesn't matter what part of it you break…it still works. You may need to strip back a layer of its skin but it will work. People are the same. You never lose your value and no matter how much life tries to break you, you still have value. 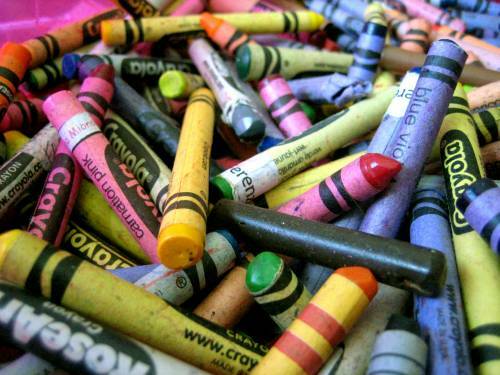 You were made to color! So many colors and shapes makes for a beautiful picture of the diversity of the human race and how we all look the best when we come together to bring color to the world. Too often we think that we are too young or too old to be useful. Young people think they need more experience before they chase their dream. And seniors feel like that ship has sailed and its too late. The beauty is that whether you are at one end of the age chart or the other, YOU are still well able to bring your unique color to the world. So there you have it…God speaking through a box of crayons. WE are those crayons, colorful, all different and all brilliant when we are put together and allowing ourselves to be used by Him. There are no excuses…you can still color! I wonder what you are going to create now!